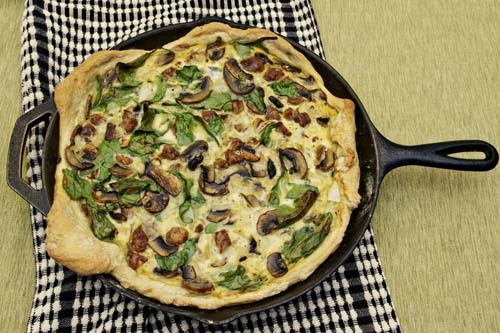 In an almost continuation of the Cast Iron Chronicles, I want to share what is probably my new go-to quiche. I made it for dinner a few weeks ago where a lot of friends were coming, and it was the perfect combination of vegetables, sausage, eggy cheesy goodness, and a pizza crust. The beauty of cooking quiches (and pies in general) in a skillet is that because skillets heat evenly, the entire crust gets crispy. Which is not ideal for every scenario, but totally perfect for a quiche. I almost have no words for this, except of that it was delicious and you should make it immediately. At least an hour before you’re ready to cook, make your pizza dough. Whisk together yeast, olive oil, salt, pepper, and water. Slowly stir in flour until combined. Transfer to an oiled bowl and let rise for one hour. To make your filling whisk together eggs. 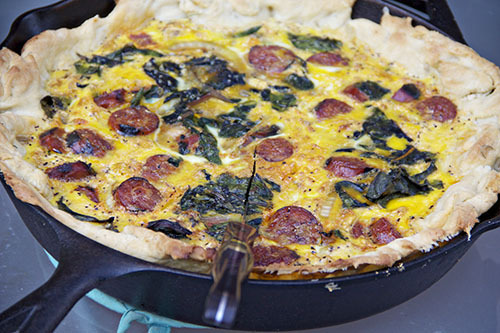 In the large skillet you plan on using to make the quiche, cook the sausage. Slice the mushrooms, onions, and garlic. Stir into the eggs. Add pepper. 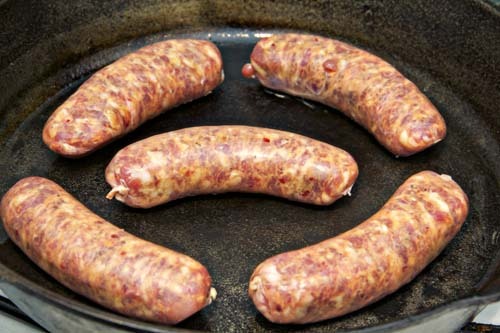 When sausage is cooked, cube it and stir in in. Fold in spinach. Heat oven to 350. 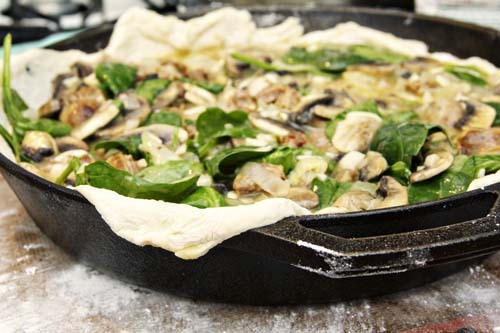 When the pan has cooled, roll out dough on a floured surface and press it into the pan. Pour in filling. Bake 40 minutes or until cooked through. I LOVE cooking in our cast iron skillet. 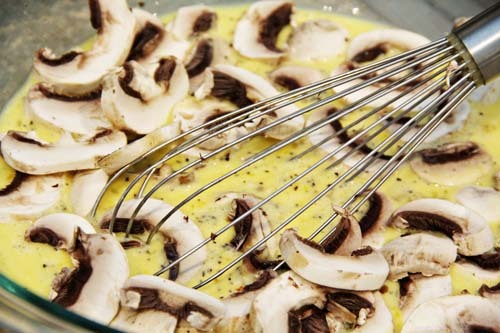 Your quiche looks deelish – I’ll have to give that a try next time I make quiche. Bake in the oven around 400 degrees for about 30 minutes…when done, the sage leaves will stick to the potatoes, (looks beautiful) and the sage/salt flavors are totally infused into the potatoes as well. I’ve tried it in a regular pyrex baking pan and there is NO COMPARISON to the cast iron skillet! Oh my gosh, Aimee that sounds delicious! We will definitely be trying that! !